Luxuriously three-dimensional, each limited-edition† shade adds a rosy colour to your cheeks and a warm feeling in your heart. With each purchase of Baked Cheek Powder, Mary Kay Inc. makes a donation to its Beauty That Counts® cause-marketing initiative helping women and children. Since its inception, funds raised from the sale of Beauty That Counts® products have resulted in millions of dollars going to organisations that help women and children around the world. Wear each shade alone or pair the two shades together for a customisable finish. Each shade, Kind Heart and Giving Heart, can be worn for day or evening looks, and each shade looks fabulous on all skin tones. Give from the heart. Live from the heart. With each purchase of limited-edition† Beauty That Counts Baked Cheek Powder, Mary Kay will make a donation that helps women and children in need. In the UK and Ireland, from 1 May 2017 through to 30 April 2018, 1 will be donated from each sale of the limited-edition† Beauty That Counts Baked Cheek Powders. As part of this effort, Mary Kay UK and Ireland is proud to support The Rainbow Trust Children’s Charity in its efforts to provide emotional and practical support to families who have a child with a life-threatening or terminal illness. Use your Mary Kay® Cheek Brush to apply Baked Cheek Powder. 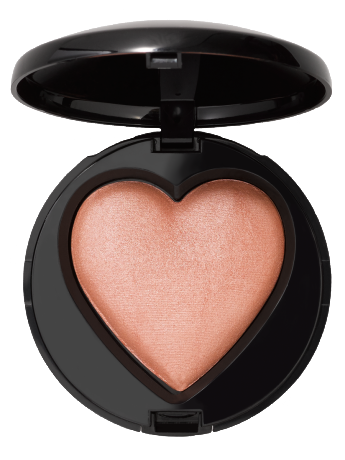 Apply Giving Heart baked cheek powder on the apples of your cheeks or along the cheekbones, temples and chin for a rosy glow. 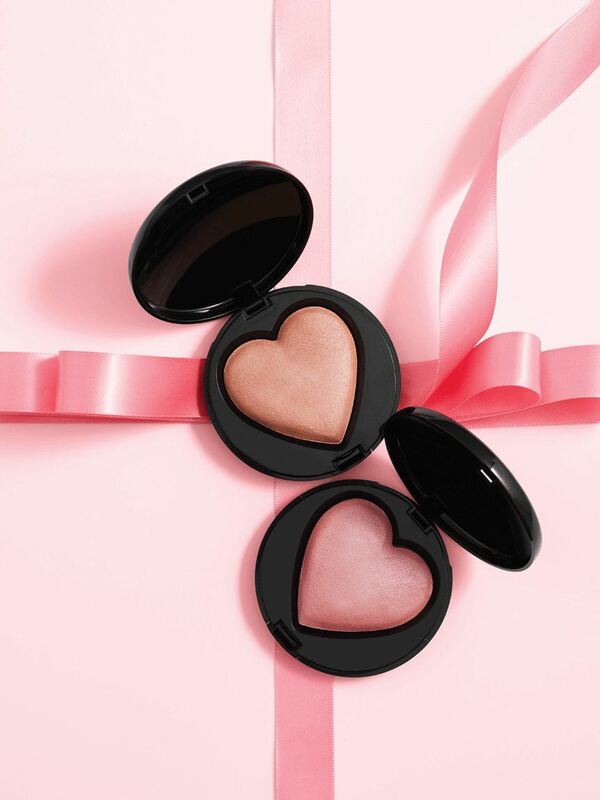 To highlight, dust Kind Heart baked cheek powder along the tops of the cheekbones. 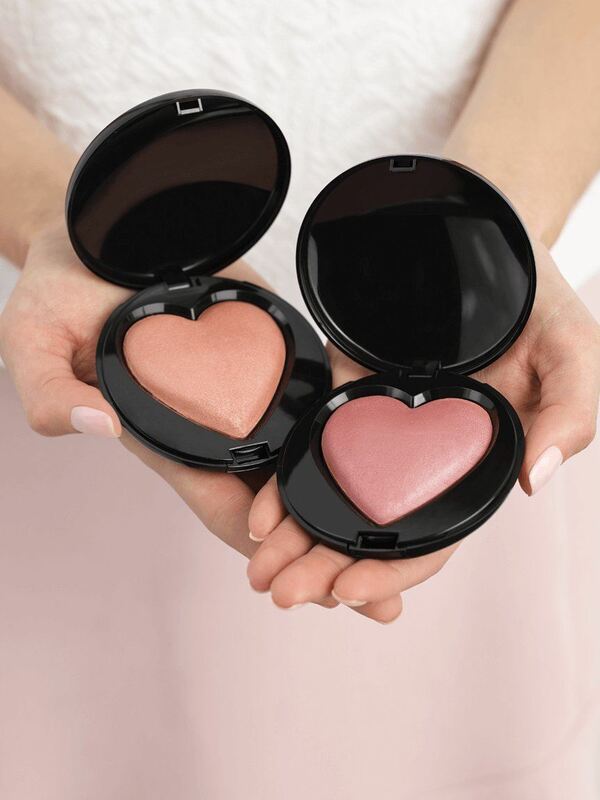 To create a strobing effect, apply Kind Heart baked cheek powder everywhere natural light would hit – your cheekbones, brow bones, the bridge of your nose, the tip of your chin and above the Cupid’s bow. For more radiance, layer the shades. Regardless of shade, apply Baked Cheek Powder lightly at first, then add more luminosity as needed.